Anyone who sells greeting cards online must have a well thought-out plan for packaging and shipping their product. Many factors come into play, including package expense, postage prices and making sure the product reaches its destination in good condition. Greeting cards can be tricky to package because they are easily bent, and if a glossy surface is used they can be scratched, like any photo. There are several tricks to making the process affordable and reliable. Purchase a stay flat rigid mailer that is at least 1-inch wider and longer then the greeting cards you wish to ship. These can be found at many office supply stores or in bulk from online shipping supply stores (See Resources). This is a better choice then a bubble mailer, as the cards are less likely to be bent. Place the cards in a stack together, then stack these on top of the envelopes. Be sure all the edges are even. Wrap the stack in a thin sheet of poly foam--also found in office stores or online. Carefully tape the foam closed in the middle and on the ends. Insert the wrapped cards into the envelope and seal it closed. 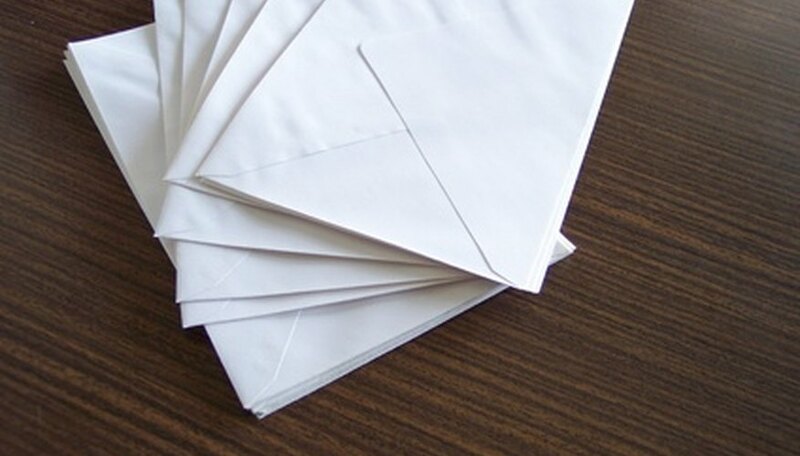 Be sure to stamp or print “do not bend” on the envelope. Address and ship. Purchase a small box that will give at least half an inch of room on sides for the greeting cards you are shipping. For very large quantities of cards, you will want a box big enough to place several stacks of cards side-by-side. Stack your cards together, then on top of your envelopes just like you would do with a smaller shipment. Put no more than 50 cards in one stack. Wrap each stack of cards in its own sheet of poly foam, being sure to tape them securely. Place stacks side by side, being sure they do not have room to slide around in the box. You may want to use bubble wrap with the larger bubbles to fill any room at the top of the box. Address the box, tape it securely with shipping tape and send it off. Check your local post office for shipping costs and free flat-rate boxes. You can get boxes that cost one flat rate for any amount of weight shipped in the United States. You can also see these rates at the USPS web site (See References).